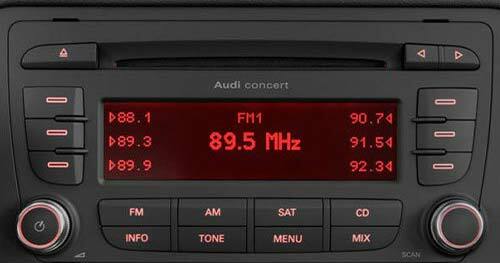 Our AUDI radio codes are available 24 hours a day 7 days a week. We guarantee our radio decodes work, and its totally FREE! How To Find Your Audi Radio Serial. There are 2 types of Audi serial numbers (Audi Navigation Plus see method 2). It is quite simple to remove your Audi radio. You will need a set of radio release keys (PC5-83). These are inexpensive and are around £3 – £5, you can obtain them from a local car audio shop or Halfords. What To Do NextThe Audi radio serial is a 14 digit serial number for example AUZ1Z1F6412082. Please see image for reference.